In two hundred years as a seaside resort, Torquay’s mild climate, clear light and general feeling of well-being have attracted residents and visitors seeking health and relaxation, with leisure to spend on reading, writing, drawing, painting and exploring the landscape and the seashore. Many of these lovers of Torquay have been inspired to become amateurs of painting and of descriptive writing, filling journals with words and sketches. Perhaps DA members will find time during the four days to add their own depictions of Torbay. From the late eighteenth century, artists found Devon a county of wild scenery with reasonably calm weather in which to sketch and paint. The ivy-clad ruins of Berry Pomeroy castle, just inland from Torbay, were subjects for David Cox, Henry Edridge, Joseph Farington, Thomas Girtin, Frederick Christian Lewis, J. M. W. Turner and others. Babbacombe beach and the cliffs were depicted by several artists, William Daniell including an aquatint in his topographical series Voyage Round Great Britain on which he worked for ten years from 1813 and George Price Boyce showing in a watercolour in 1853 the rocks “most various and gorgeous in colour” as Samuel Palmer described them. William Daniell’s view over Torquay harbour is also from his Voyage. William Collins visited Torquay in 1819 and came again in 1845 for his health. From sketches made then he completed two pictures for exhibition at the Royal Academy in 1846. The dramatic painting of hilly Torquay circa 1850 is by John Rawson Walker who was resident for several years. Napoleon was painted by W. Orchardson on the deck of the Bellerophon in Torbay awaiting transportation to the South Atlantic. Nineteenth century residents, and especially visitors, included many writers some well-known then, others admired later. Matthew Bridges, historian and poet, wrote romantically of Babbacombe, “that peaceful hamlet” and of Anstey’s Cove and Watcombe, home of otters and ravens. Edmund Carrington, living for many years in Paignton, wrote The New Torquay Guide: or the Queen of the Bay mostly in the form of correspondence or in rhyme, which went through four rather lively editions between 1843 and 1864. In 1890 John Arthur Blackie of Torquay, who was a writing friend of Edmund Gosse, celebrated Anstey’s Cove and Maidencombe in his volume of lyrical poems described as being “inspired by music, odour and twilight suggesting the obscurity of a tropical forest”. 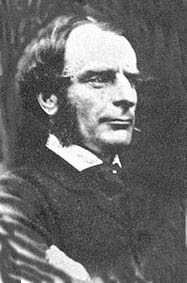 Charles Kingsley, who rented a cottage at Livermead in 1853, was at first rather lonely as he was ostracised by most of his fellow clergymen following the lead of Bishop Phillpotts of Exeter (who lived in Torquay) who regarded the Christian socialist as a “peculiarly dangerous heretic”. He compensated by writing Glaucus in which he encourages those “going down by train to spend their six weeks at some watering-place” not to saunter idly on the cliffs but to discover the wonders of the shore. He did so particularly on Babbacombe Beach where his friend Philip Henry Gosse spent each day. Philip Henry Gosse and his family visited St Marychurch in the early 1850s and he lived there permanently after his first wife’s death in 1857 until he died in 1888. His son Edmund left at eighteen to be an assistant at the British Library. His long career as a writer and critic and Librarian of the House of Lords does not relate to Torquay. During his time in Torbay Philip Henry Gosse recorded and illustrated organisms below the shoreline; developed a design for a seawater aquarium, on which he corresponded with Charles Darwin; and produced more than twenty books, including A Naturalist’s Rambles on the Devonshire Coast, Omphalos and A Year at the Shore. Torbay had few writers who were resident for long, although Eden Phillpotts, a most productive writer, lived in Torquay for nearly thirty years, Robert Graves in Brixham for six and Flora Thompson in Brixham for seven years completing her last three novels. Those who stayed for shorter times included Charles Darwin, Elizabeth Barrett, Alfred Lord Tennyson, Edward Bulwer Lytton, Beatrix Potter, Oscar Wilde and Rudyard Kipling and no doubt the beautiful Bay inspired many others. Even William McGonagall, the Scottish poet, wrote an ode to Torquay. And as the tourist gazes thereon with joy his heart fills.